Nearly all of the 110 Nigerian schoolgirls kidnapped by militants in the town of Dapchi last month have been returned, the government says. Officials said at least 101 girls were reunited with their families after being brought back to the town. The girls were later flown to the capital, Abuja, where they were due to meet President Muhammadu Buhari. One of the freed girls, in a phone conversation with a relative, said the five had been crushed to death as they were herded into vehicles and driven away. The girl said she and the others were taken into the bush, to an "enclosed place". When asked whether they were well fed, she said they had to cook their own food. The government did not make any mention of deaths, or otherwise explain the discrepancy between the 110 abducted and the 101 returned. There were scenes of celebration in Dapchi. One parent, Kundili Bukar, told the BBC the militants had driven into the town in a motorcade in the early hours of Wednesday morning and surrendered the girls to the community. Government officials indicated their relief. The government had been strongly criticised after the abduction on 19 February, amid reports that the military had pulled out of Dapchi the day before. Nigeria had already suffered the Chibok kidnapping, when 276 girls were snatched from a school in April 2014. More than 100 are still missing. Among those to witness the release of the Dapchi girls were some of the Chibok parents, who had gone to the town to console its residents on their loss. "Our visit became something else," one of the Chibok mothers told Reuters news agency, adding that the scenes of reunion made her weep for the fate of her own daughter. And while many parents celebrated, the father of one girl said she was being kept by the militants - thought to be from the Boko Haram group - because she refused to convert from Christianity to Islam. In a radio interview he said he was happy that she had not renounced her faith. The BBC's Tomi Oladipo says the government is likely to have given something in return for the girls' release. But Nigeria's Minister of Information and Culture, Alhaji Lai Mohammed, told Reuters that "no ransom was paid". Mr Lai Mohammed said the girls were taken to hospital in Dapchi, and they would be quarantined and offered psychological counselling before going back to school. However, one parent told the BBC the extremists had warned them not to send their daughters back to school, or they would be kidnapped again. The return of more than 70 Dapchi schoolgirls indicates that a Boko Haram faction, led by Abu Musab al-Barnawi, is taking a different approach to kidnappings. Negotiations for the Chibok girls' release proved difficult under Boko Haram's leader Abubakar Shekau. More than 100 of them still remain in captivity. But despite reports, Wednesday's release did not come free. Boko Haram definitely got something in return for waltzing back into Dapchi and dropping off the girls. The problem going forward is that this will encourage the IS-linked militants to once again raid another community and abduct another set of people. The Nigerian government might feel like it has averted the kind of global disrepute that plagued the administration of former President Goodluck Jonathan following its poor response to the kidnapping of the Chibok girls. But this is only a minor PR victory for President Muhammadu Buhari's administration. 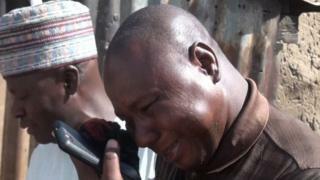 Boko Haram and its various factions suffered no losses on Wednesday and they will remain a scourge in Nigeria.